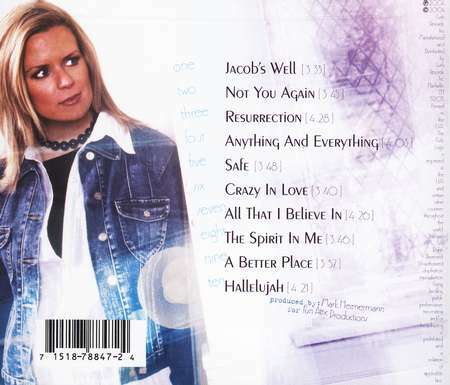 Her smoky, emotion-packed vocals breathed new life into traditional hymns with the trio Selah. 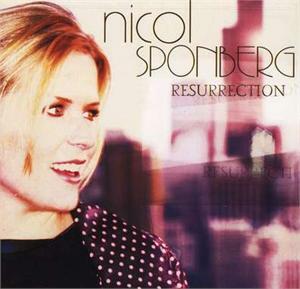 Now Nicol Sponberg begins again with an equally inspirational pop/R&B sound. Includes "Jacob's Well," "Anything and Everything," "Crazy in Love," "The Spirit in Me," "A Better Place," "Hallelujah," "Not You Again," "Safe," "All That I Believe In," and the title track.